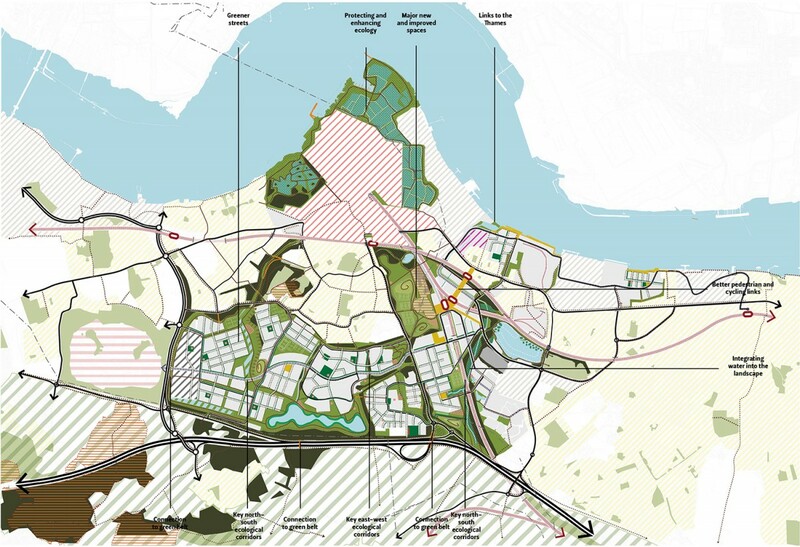 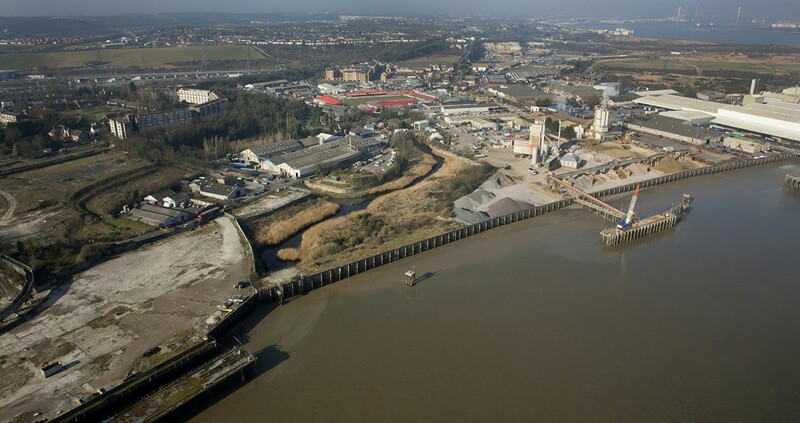 Spacehub worked, alongside Aecom, Maccreanor Lavington Architects and Cushman and Wakefield, on this ambitious framework masterplan to develop 15, 000 new homes focused around Ebbsfleet International Station. 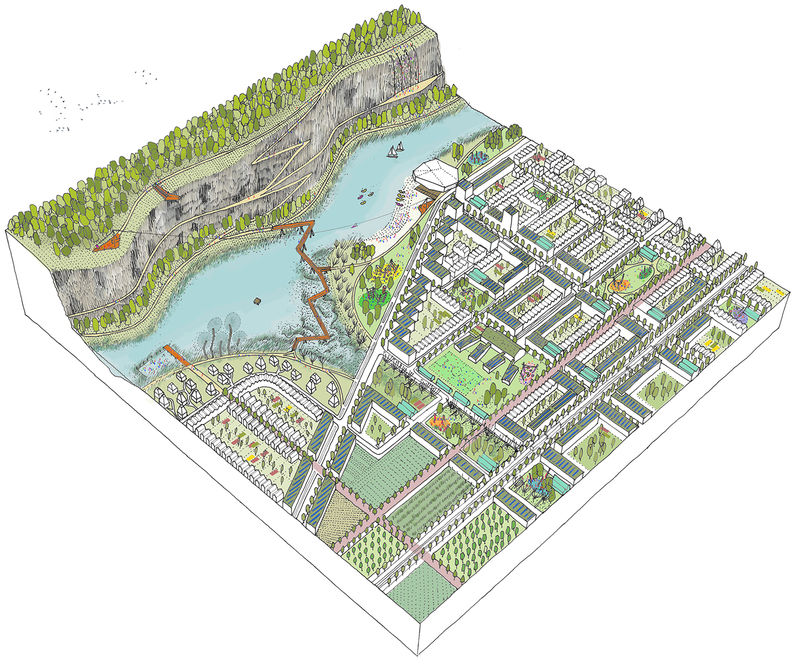 Spacehub developed an open space strategy focused around biodiversity, water management and sustainable modes of transport. 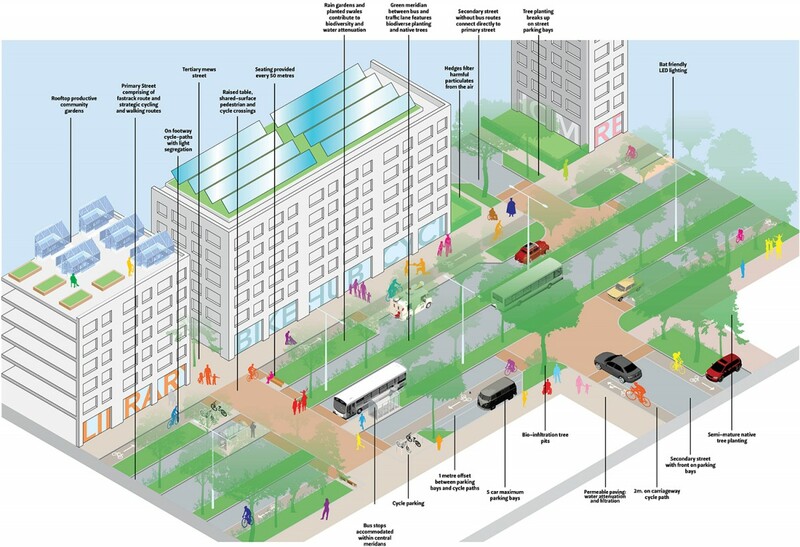 The open space strategy connects 7 new and existing parks and a diverse network of local spaces and streets to create a robust yet flexible green infrastructure strategy. 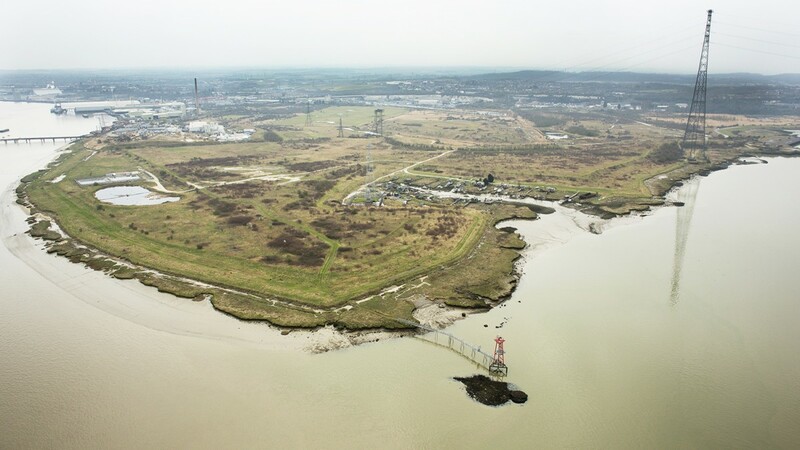 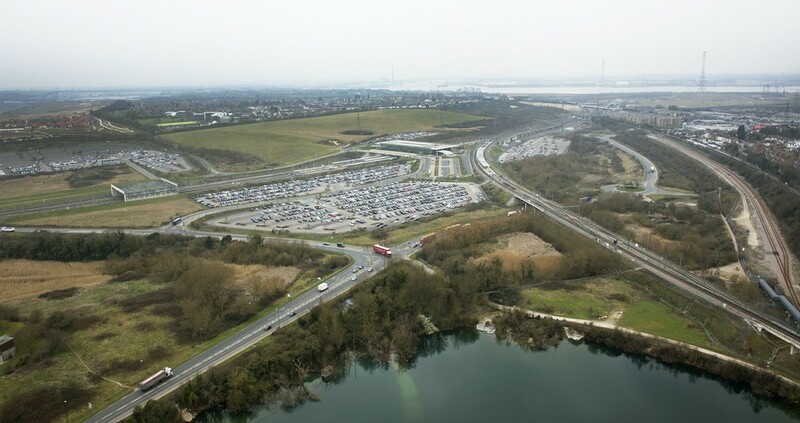 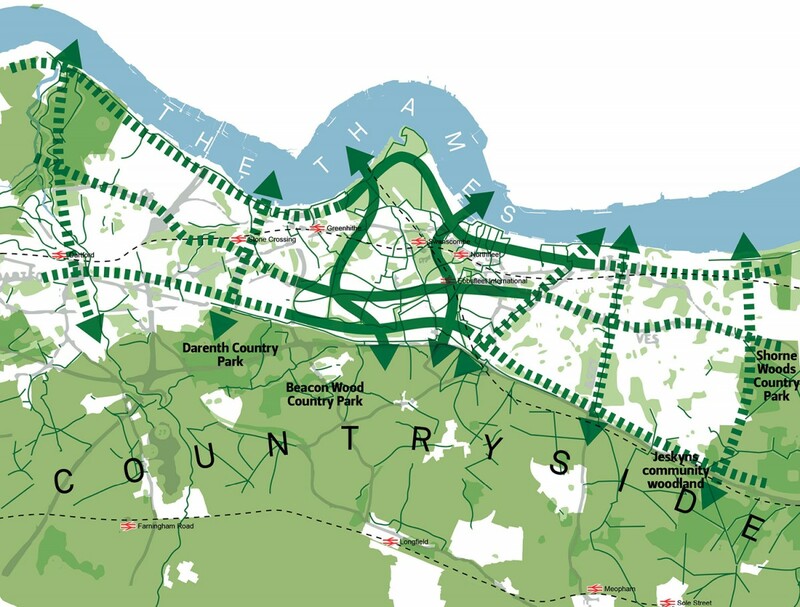 Set in the dramatic post-industrial landscape of quarries and marshes, the scheme emphasises existing landscape features such as chalk cliffs, ancient forests and lakes to create an industrial picturesque backdrop for the new development.